This study is the twenty-third piece from Danish flutist and composer Joachim Andersen's Twenty-Four Etudes for Flute, Op. 30. 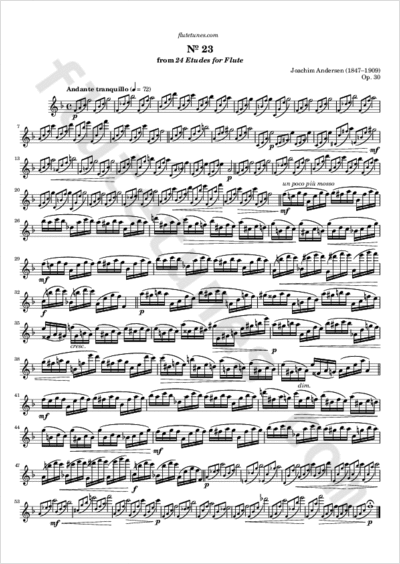 It begins and ends on long notes each introduced by a three-note arpeggio, while the heart of the piece is a bit quicker (un poco più mosso) and based on a sequence of sixteenth notes.